Myers in Aggieland: Ally-Roo turns 2! What a cutie! Happy birthday Ally!!! Happy Birthday!! What a cute baby!It looks like she had a great day! You are the sweetest little mommy!!! What a doll she is. P.s. maggie moos is heaven sent if you ask me. Happy Birthday Ally! Such cute pics! I can't believe my Ally-girl is 2 already! Already a year has passed since that sweet girl was crawling and learning to walk!! She is so big now. I love the picture with her Dora dolls all beside the cake. Too cute! Glad she enjoyed her day. Please remind her who her FIRST favorite teacher was!! How sweet! Happy late Birthday Ally! Happy Birthday Ally! It looks like you had a great birthday! She's so cute! Happy Birthday Ally! That is such a cute picture of Ally with her Dora cake! Jenna is still talking about Ally's party. Ever since last Friday when I say the words "birthday party" Jenna says, "moooooooo!" Maggie Moo was a big hit with Jenna! I added your blog to the list on my blog--hope that's okay!! Happy Birthday, Allyson Brooke! 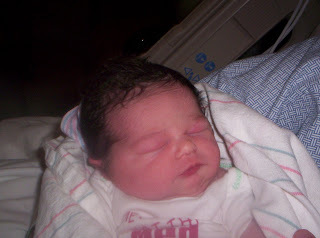 :) Can't believe she is already 2! Looks like she had a great day. What a sweet birthday post!